The company Claudio Nicolini S.r.l., founded in 1947 by Comm.re Claudio Nicolini, was first situated in Milan, in via Niccolini. 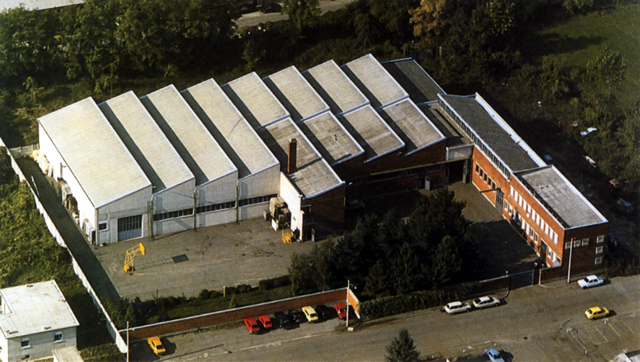 Already in 1955, the growth of activity led the Company to move to via Elba (Milan) and later, in 1963, a bigger plant was built in Trezzano S/N, a newly industrialized area close to Milan. Here work began in 1964, but soon the increasing level of production resulted in the enlargement of the plant's structures; thus, in 1974, the workshop, the warehouse and the trade and administrative offices covered and area that was three times the original size. Today's plant spreads over an area of 7,000 m2, 3,000 of which are covered. In the field of Actuated Valves it has acquired such a know-how and production capacity that ranks it as one of the most qualified European industries.